More info:No Single Supplement. We can offer transfers from Zaragoza airport or railway station. Cost €70 return per person. 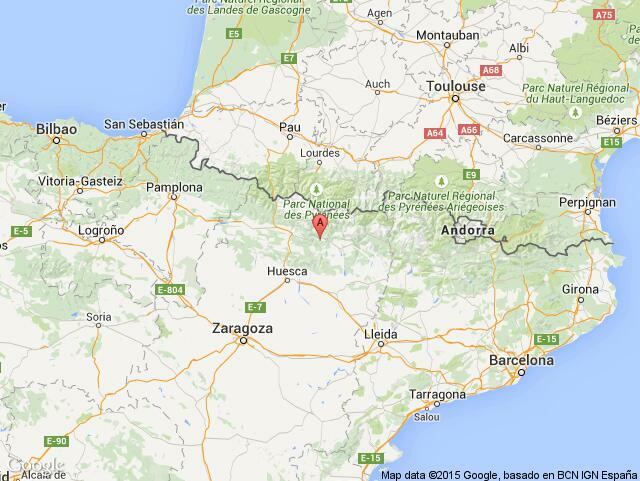 From Zaragoza it is 2 hours to our base in the Pyrenees. This photography holiday in Spain’s Pyrenees brings keen photographers from around the world to capture the natural wonders of the Ordesa and Monte Perdido National Park. This is one of Spain’s oldest national parks, protected since 1918. In fact, this magnificent mountain region is so precious it has been lauded with many titles, including that of, UNESCO World Heritage Site, as well as a Biosphere Reserve. This eight day small group photography holiday is suited to photographers of all interests and levels of experience. Landscape, wildlife or mountain flora, beginners or experts, you will be led by our expert photography guide, multi award-winning Iñaki Relanzón who specialises in conservation, nature and wildlife, and whose work has been published in leading international media. Iñaki has been travelling to, and working in this region for over twenty years and is committed to its sustainability. His work is truly inspiring and his passion for the region totally infectious. In Iñaki’s own words “the beauty of this landscape never ceases to amaze”. The group size is a maximum of seven people, so there is plenty of time to learn and ask all the questions you need, with Iñaki covering all areas of photography during the week. We host guests in our traditional, restored Pyrennean farmhouse, in the hamlet of Albella. Finished to a very high spec, including deluxe ensuite bathrooms. Wi-Fi available. The price of the holiday includes just about everything, including transfers from Zaragoza airport or train station. You do need to bring your own camera and accessories and, although we have a PC at the house for general use, we do recommend bringing your own laptop for uploading and viewing. There are also well over 100 species of butterflies and moths in our area, including the rare and beautiful Isabelina Moth (Actias Isabellae) and the Giant Peacock Moth (Saturnia Pyri). We have been successful in hatching the eggs and releasing the caterpillars for these moths. The nature of photography requires a certain level of thoughtfulness, and stillness which is in tune with protecting the environments we photograph in. The instructor will let guests know the best way to travel through fragile areas and view wildlife with care so as not to disturb them. Memorable: Nightly gourmet dining under the stars at Cassa Allue. I actually arrived 3 days before the photography week actually started, so spent those days with the previous group who were there on a walking holiday, so I managed to sample the best of 2 different holidays. I would heartily recommend the place and the area to either walkers or photographers, or to anyone else for that matter. It is a hidden corner of Spain unknown to almost all visitors who flock to the sunbeds on the costas. It was a very beautiful and photogenic area seen at it's most spectacular time, during the autumn while the trees were in full colour change. only to be treated to a display of these magnificent birds that wouldn't have been out of place on an Attenborough documentary. Absolutely. Both the walking holiday and the photography holiday used local Spanish guides. Both these guides, Alberto and Iñaki, were very knowledgable about their subject, enthusiastic, entertaining and spoke an excellent standard of English. highlight. Suffice to say this was one of the more memorable Photography Workshops I have been on.